Boston’s Hubway bike share program is about to push beyond city limits, with an expansion over the Charles River into Cambridge and other communities starting as early as this week. The Boston Globe reports the first of 24 new bike kiosks may start arriving in Cambridge this week and should operational by the second week in August. Somerville is slated to receive 12 stations with four planned in Brookline. The city of Boston launched the program in the summer of 2011. It now has 600 bikes for 61 stations and will add 11 new stations. With the expansion, the Boston region will have more than 1,000 public bikes available, The Boston Herald reported. In Cambridge and Somerville, bike stations will be added at major squares and areas in between. In Brookline, new stations are coming to Coolidge Corner, Town Hall and the Brookline Village MBTA stop. In Boston, new stations will be placed in Allston, Charlestown, Dorchester and Roxbury. Next year, Hubway may expand into Jamaica Plain, as well as Newton and Arlington, officials told The Boston Herald. The expansion comes after a first year in which Hubway exceeded all expectations. It has seen twice as many trips and paid subscribers as planned. Over 360,000 individual bike trips have been taken since its start and this summer, tourists and commuters are taking about 2,000 bike trips per day. 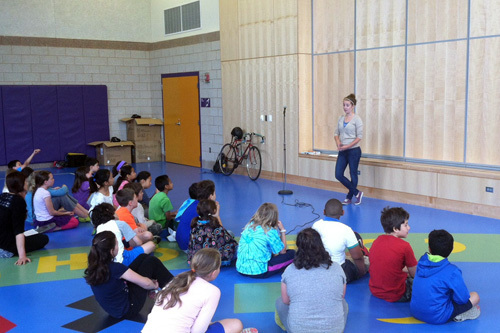 The program is operated by Alta Bicycle Share in partnership with Boston Bikes, an initiative of the City of Boston. It is partially funded by the Federal Transit Administration. 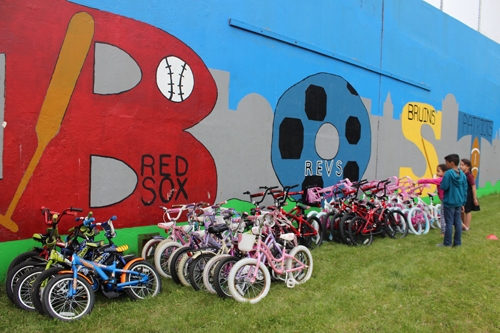 Outside Boston, each community and Alta Bicycle Share work together on securing grants and sponsorships to fund each bike station, which can cost $50,000. The program offers Annual Membership for three seasons, which can be purchased online for $85. These members receive a key to unlock bikes for use. Rides under 30 minutes are covered under the membership fee; longer rides incur additional fees. Others can purchase short-term Access Passes for 24 hours or three days. The Hubway reported few bike accidents resulting in injury during its first year. The program reported no bike accidents requiring ambulance response and only two bike accidents overall. 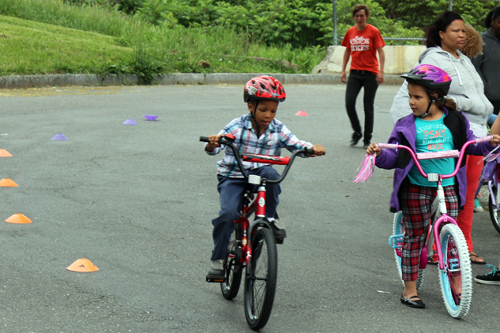 The program’s contract requires riders to wear helmets to protect themselves in bike accidents. It encourages this by making helmets available for purchase when you buy a membership. It also has a network of retailers throughout the city who offer discounted memberships. Hubway, turning 1, is about to expand, The Boston Globe. Hubway expansion to bring another 400 bikes to roads, The Boston Herald. What to know about cycling in Boston, Breakstone, White & Gluck. Boston’s popular Hubway bike sharing program will expand into Cambridge and Somerville next spring, providing more opportunities for healthy, environmentally-friendly and fun travel. Boston’s program, which began in July 2011, is scheduled to close its 60 bike rental stations and 600 bikes this week for the winter. Bikes are expected to be available again next March, weather permitting. At the same time, Cambridge plans to open 20 stations in areas such as Harvard, Central and Inman squares. Somerville plans to open 8 stations including in Porter, Union and Davis squares. Brookline is also working on adding two Hubway stations at Coolidge Corner and Brookline Village. 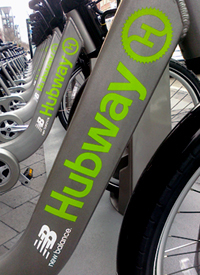 Boston’s Hubway program had 3,650 annual members in its first season. The system is partly funded by a $3 million grant from the Federal Transit Administration. It is intended for short trips as an extension of public transit. Annual members who pay $85 per year and those with one-day $5 and three-day $12 memberships can take unlimited rides, but they must return bikes within 30 minutes to avoid incurring additional fees. Among annual members, the average ride lasted 17 minutes. As officials close up the Boston program for the winter, they report concerns over an increase in bicycle accidents never materialized. The program saw no serious bike crashes requiring ambulance response and only two bike accidents overall. But one issue is less than half of Hubway cyclists appeared to wear bike helmets, the program reported. 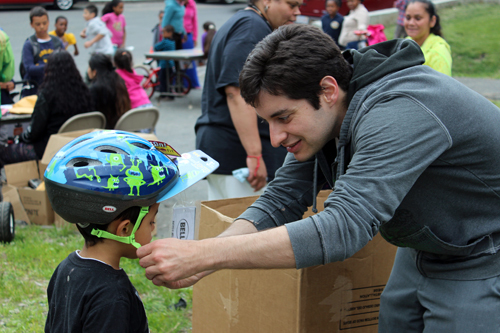 Nearly 75 percent of riders on other bikes wore helmets. The city of Boston has tried to boost bike helmet use by working with 30 bike shops to offer subsidized bike helmets for less than $10. The Boston bike accident lawyers at Breakstone, White & Gluck urge cyclists to learn Massachusetts bicycle laws. Click here for our guide. We also urge cyclists to consider purchasing bicycle accident injury protection through their automobile insurance policies. Check your uninsured and underinsured motorist coverage, which provides protection if there is a bicycle accident. 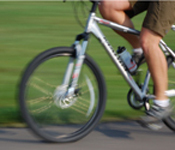 This insurance is affordable and can ease the physical and financial recovery after a bicycle accident. Click to read our guide What Every Bicyclist Needs to Know About Car Insurance. Click here to read an article in The Boston Globe about the Hubway bicycle sharing program. Click here to learn more about Boston’s Hubway sharing program.